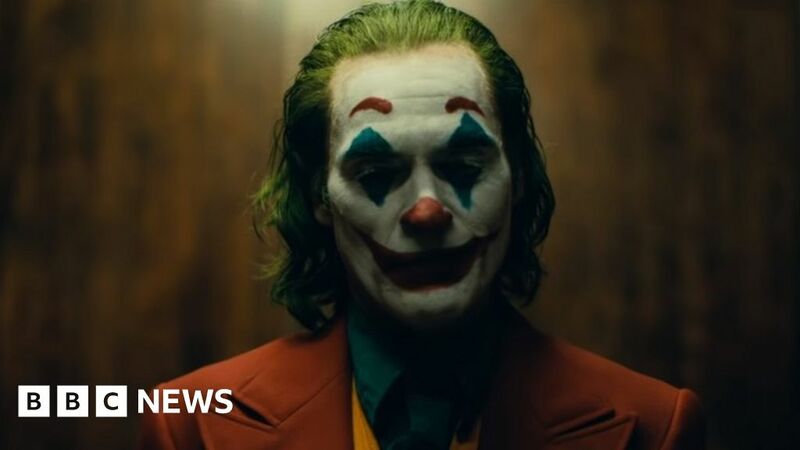 The first trailer for a new origin movie about iconic comic book villain The Joker has been released. It shows Joaquin Phoenix undergoing a painful transformation from a decent chap into Batman’s cackling nemesis. Phoenix plays Arthur Fleck, a stand-up comedian who gradually loses touch with reality after a series of hardships. The first trailer for Todd Phillips’ film – out on 4 October – was premiered this week at the CinemaCon convention in Las Vegas. “My mother always tells me to smile and put on a happy face,” Fleck is heard telling his therapist. It then takes a dark turn when he’s labelled “a freak” and and attacked by men on the subway. He likened his interpretation to that of the late Heath Ledger, who won a posthumous Oscar for his performance in 2008’s The Dark Knight. The key to any Joker movie after Heath Ledger’s Oscars winning performance is finding someone who can make it their own and unique. I commend Jared Leto, but this, whether it works or not, is exactly the type of unique take that we need. Brandon Katz from New York-based website Observer was equally sold, commenting Phoenix’s beleaguered Joker looked “emaciated and disillusioned“.